Available in 28 beautiful colors. Can be used to add beauty to any bare or stripped wood surface. 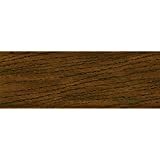 It is ideal for staining unfinished wood furniture, cabinets, wood door, trim, molding and hardwood floors. 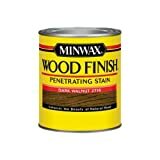 Interested in the Minwax 70012444 Wood Finish Penetrating Stain, quart, Dark Walnut? Is the price too high? You can easily price watch this product and we'll notify you when the price reaches your target.